To examine the psychometric characteristics of the Italian language version of the latest edition of the eating disorder examination (EDE). 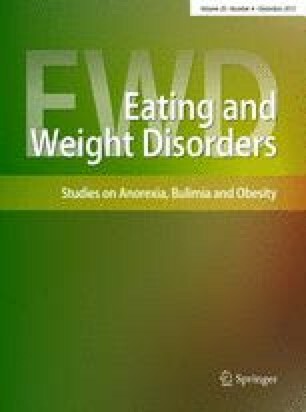 An Italian version of the EDE (17th edition) was designed and administered to 185 in- and outpatients with eating disorders and 60 age-matched controls. Its internal consistency, inter-rater reliability, short-term (7–23 days) test–retest reliability and criterion validity were evaluated. Internal consistency was high for all four original EDE subscales. Inter-rater reliability was excellent for global EDE scores and original subscales (≥0.93), and for eating disorder behaviours (≥0.89). Test–retest reliability was good for global EDE scores and original subscales (0.57–0.80), objective bulimic episodes and days, vomiting episodes, laxative and diuretic misuse episodes, and excessive exercising (≥0.82), but unsatisfactory for subjective bulimic episodes and days. Patients with eating disorders displayed significantly higher EDE scores than age-matched controls, demonstrating the good criterion validity of the instrument. The Italian version of the EDE 17.0D has adequate psychometric properties and can therefore be recommended for examining Italian patients with eating disorders in clinical and research settings.